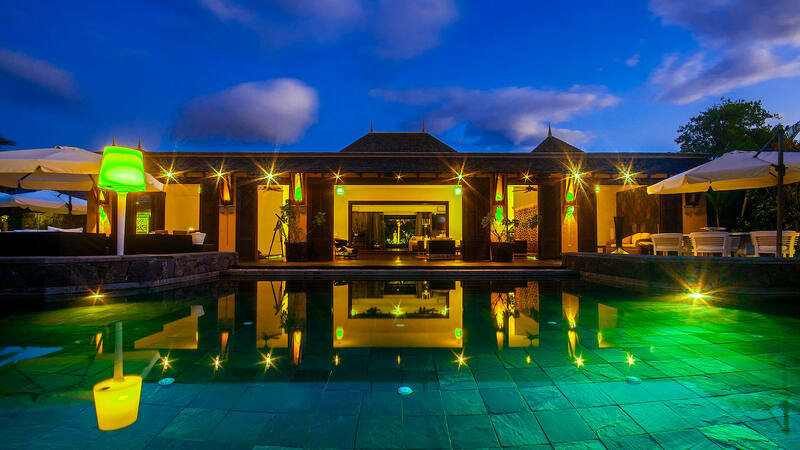 Enjoy a stay in one of the most luxurious villas in Mauritius located in the exclusive Tamarina gof Estate, five minutes from the beach. 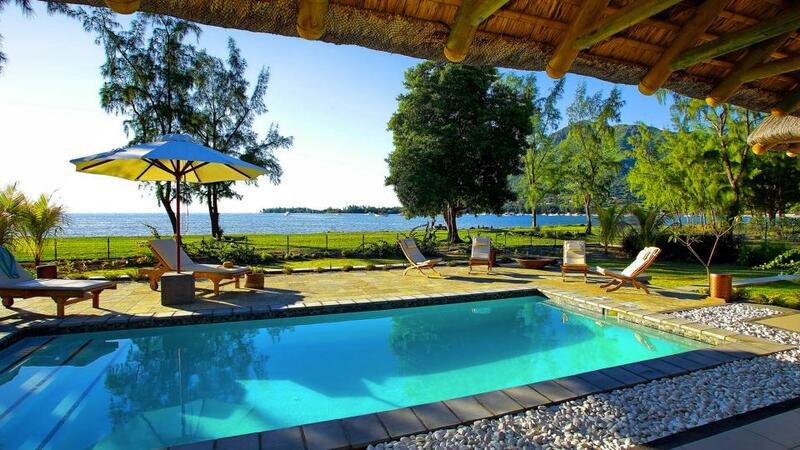 Villa Tamalia is designed to give you all the comfort and privacy you need for a relaxing holiday. 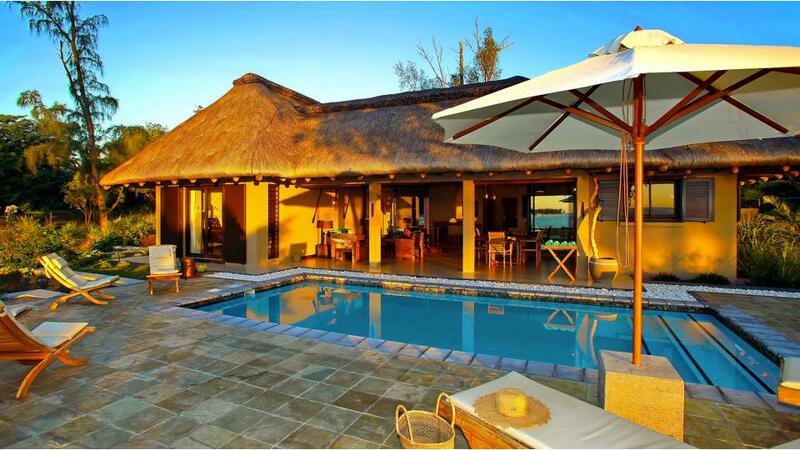 The villa has 4 double bedroom suites (one with double bed which can be converted in two twin beds) with ensuite bathrooms. It also has an outdoor shower. 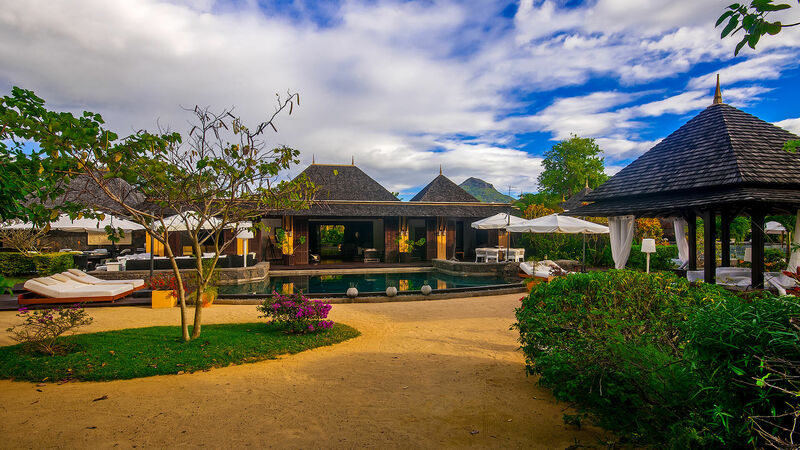 A pavilion in the garden normally used by the staff, can accommodate one or two people with 2 twin beds and a bathroom, a standard much lower than the bedrooms of the villa. (On request at extra cost). 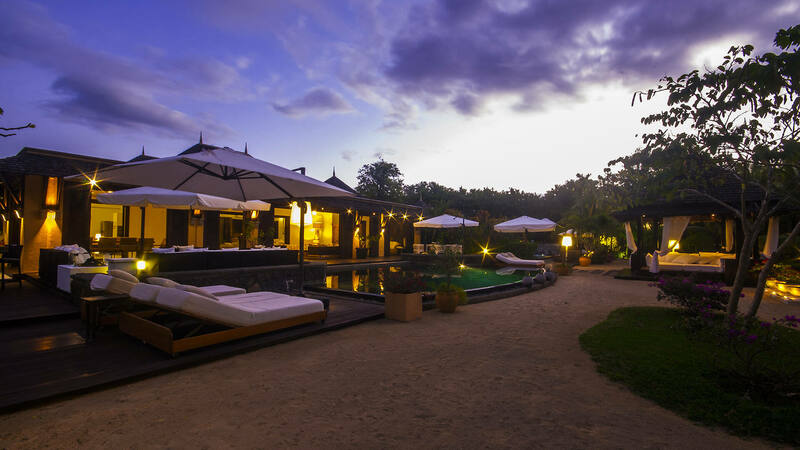 Villa Tamalia offers spacious living spaces, tastefully decorated. A luxurious kitchen well equipped with a lot of equipment. Outdoor and indoor dining rooms. A spacious lounge and a bar. Staff will prepare your favorite cocktails. A Sauna, a hammam, a jacuzzi and a fitness room are at your disposal in the villa. Two pools, which can be cooled or heated (on request). Beautiful terraces around with garden furniture to relax outdoors. You will also find outside pretty little waterfalls and a barbecue. Villa Tamalia was completely redesigned and rebuilt in 2014. 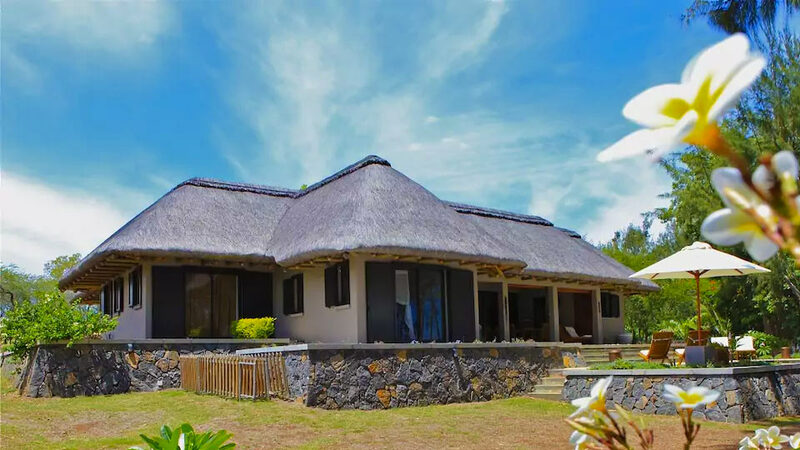 It is located 6 km from the city of Tamarin and just 2 minutes from the Tamarina golf course. The beach is 5 minutes from the villa with the villa golf cart. Price includes : 24 hr. service of our staff - Royal daily breakfast - A new car Audi Q7 free of charge with driver 8 hrs/day - use of daily spa.